An evening of fun horse racing will take place on a Ballycastle beach as part of this year’s Ould Lammas Fair celebrations. Set against the iconic backdrop of Fairhead, the fun filled event promises to be an unforgettable spectacle with all money raised going to Riding for the Disabled, a charity which provides recreational and sporting opportunities for disabled people. The new addition to the four-day programme of events takes place on Saturday 25th August with 10 races planned from 6pm – 8pm. The opening day will also include the traditional heavy horse show with Clydesdale horses parading through the town followed by a convoy of vintage vehicles which will help to paint a picture of the area’s agricultural history and heritage. Thousands of people are expected to descend on the seaside resort to enjoy the weekend festivities and the sights and sounds which make the Auld Lammas Fair a truly unique event. Horse trading has been an integral part of the Ould Lammas Fair since it began over 400 years ago and this tradition will continue at Fairhill Street. Horses and ponies will be on display with a range of agricultural themed attractions including a mobile farm. 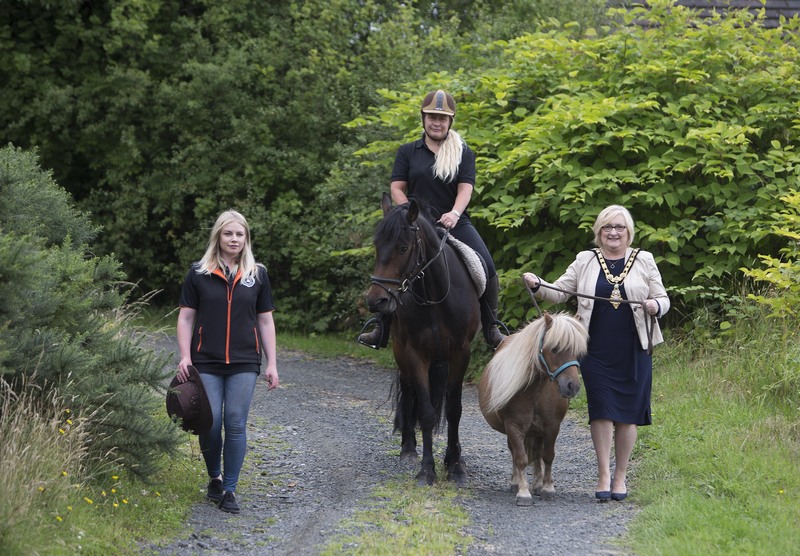 Pony rides will be facilitated by Riding for the Disabled, while a wheel-chair accessible trap will allow visitors of all abilities to take part. The public will also have a chance to watch skilled farriers in action as they trim horses feet and make horse shoes the traditional way. Visitors can take home a horse shoe made at the Fair as a unique memento of the event. Throughout the town, hundreds of stalls will be in place selling a range of goods, including the Fair’s well-known delicacies sweet Yellowman and salty dulse seaweed. Keep up to date with the latest news about the Ould Lammas Fair by following Causeway Coast Events on Facebook and Twitter. 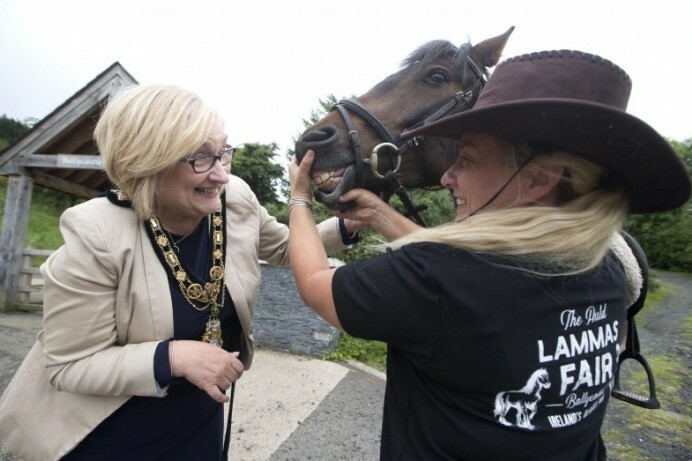 All roads lead to Ballycastle for the Ould Lammas Fair, Ireland's oldest fair, which returns to Ballycastle with four days of festivities from Saturday 25th August - Tuesday 28th August. Shauna McFall from Naturally North Coast and Glens Artisan Market is pictured here with Melissa Lemon on Marley and the Mayor of Causeway Coast and Glens Borough Council Councillor Brenda Chivers with Topper.